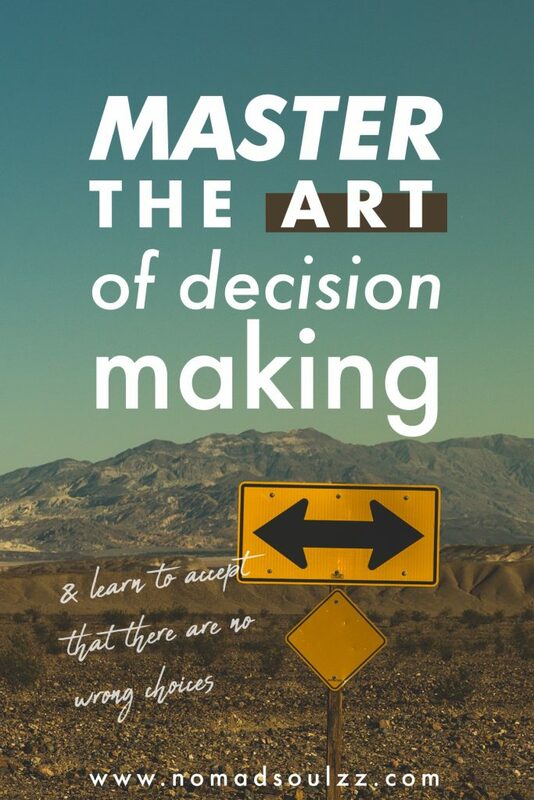 Do you struggle with not having a clear decision making process? 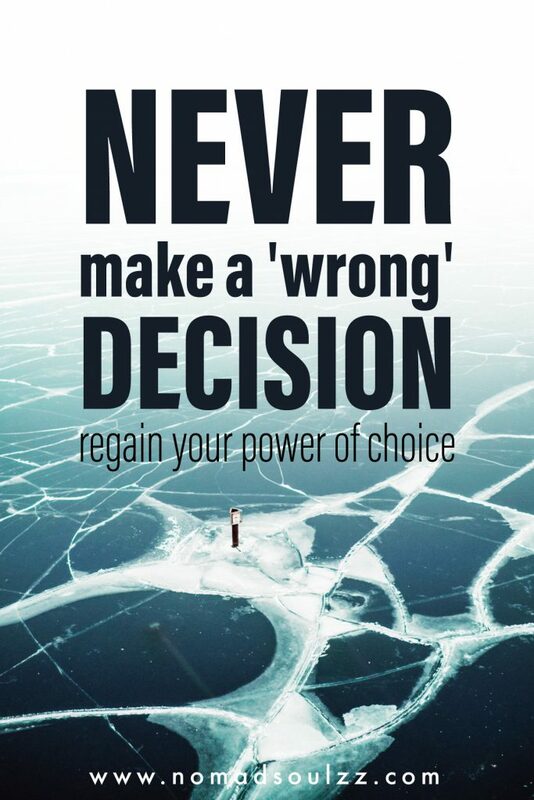 Are you afraid of making the wrong choice? You’re not alone. 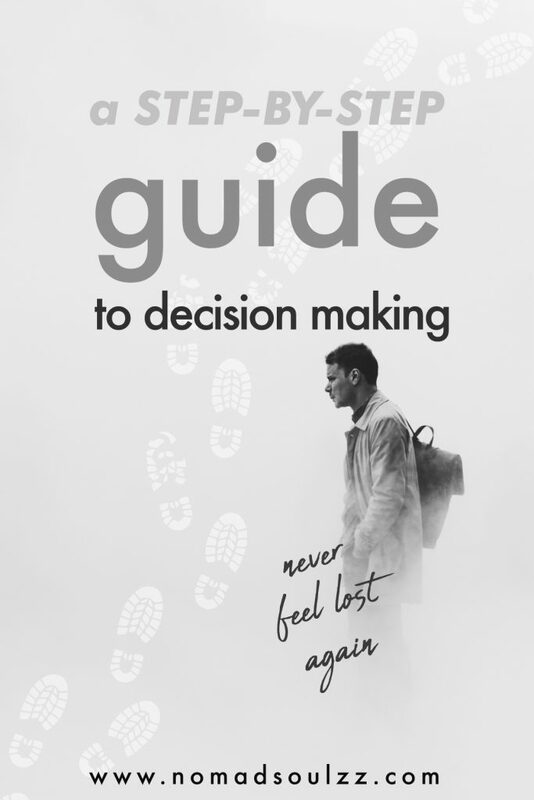 Regain your power of choice and learn how to make a decision thoughtfully every single time. The process of making a choice in itself is often misunderstood. We miss the point that the power actually resides in having the ability to make a choice and not in what that choice may lead to. 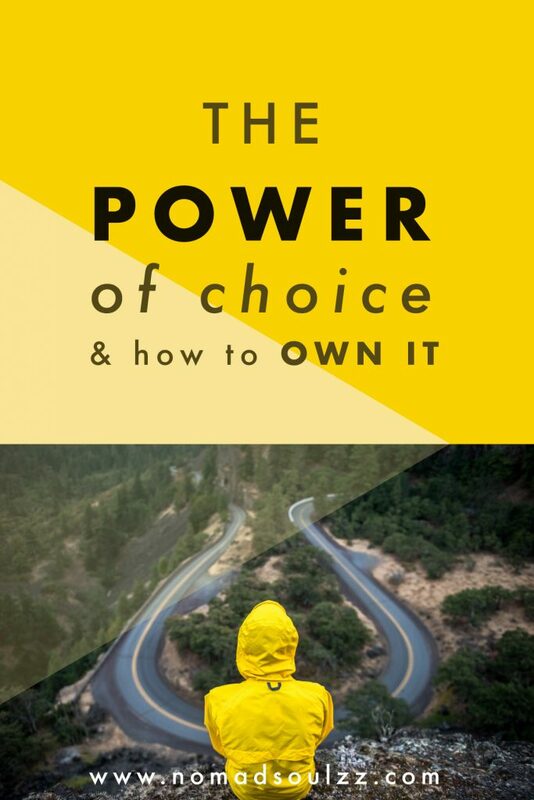 In other words, we think it’s powerful because of the rewards it avails us… but really what is powerful is the fact that we can make a choice in the first place. This quote deeply resonates with me. 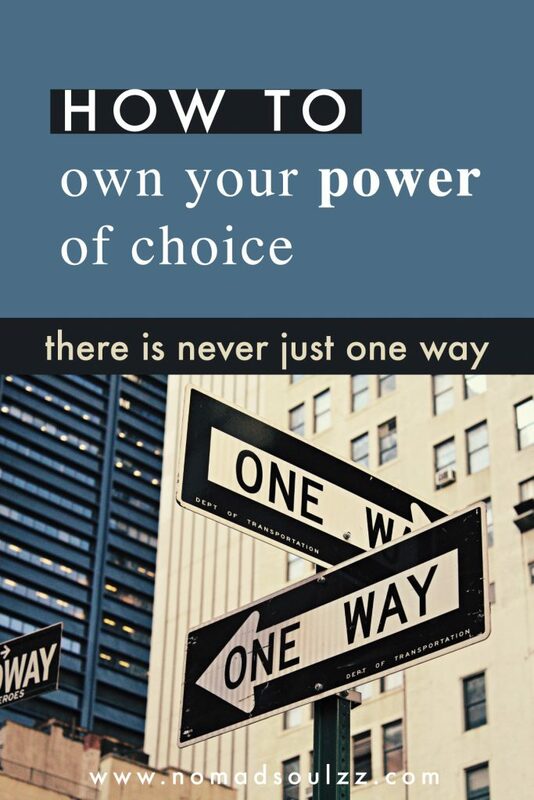 Having a choice is powerful and has great power over our lives. 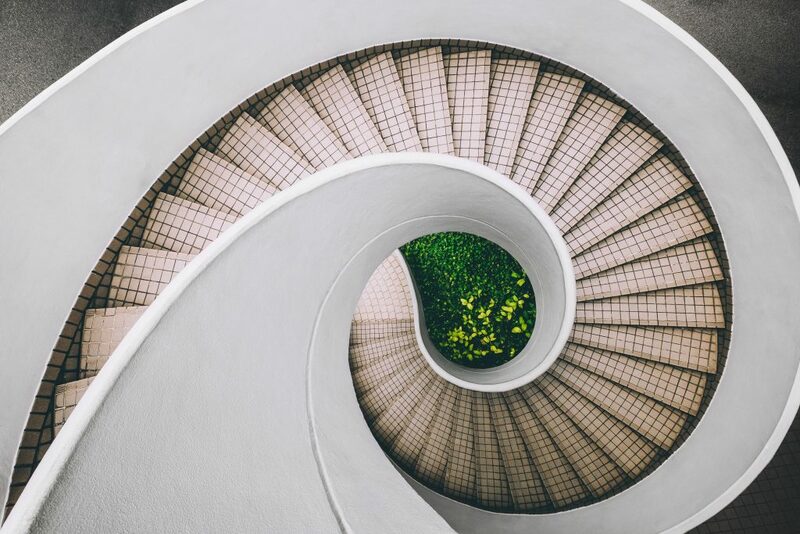 Properly understanding what a choice is and how the system of making choices works are key points that you need to know in order to turn your dreams into reality. Inspired by the quote above? Check out our wall of growth for more moving and inspiring quotes. To make a decision it means you are consciously choosing to take action. Taking action leads to a more assertive lifestyle. Which in turn leads to less procrastination and a more abundant life. 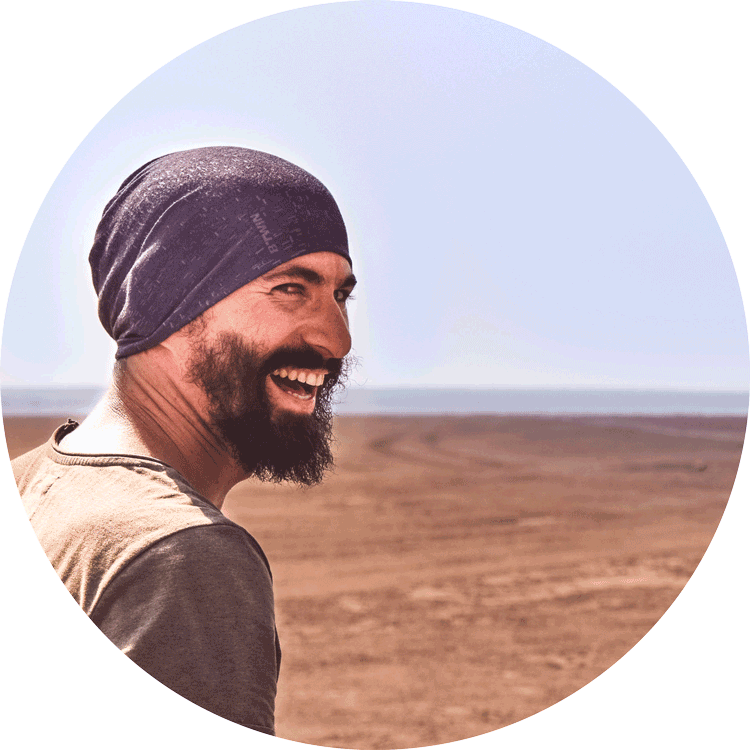 Having trouble with procrastination and want to make a change? Free yourself of self-sabotage and walk the path of self-growth. Success is often related to the development of one’s skill. The definition of skill is “the ability to do something well’. Whatever your profession is you have learned how to become good at it and make the “right” decisions. You have learned how to weigh out pros and cons. Your choices have been made through a combination of education and pre-chosen subconscious desires. 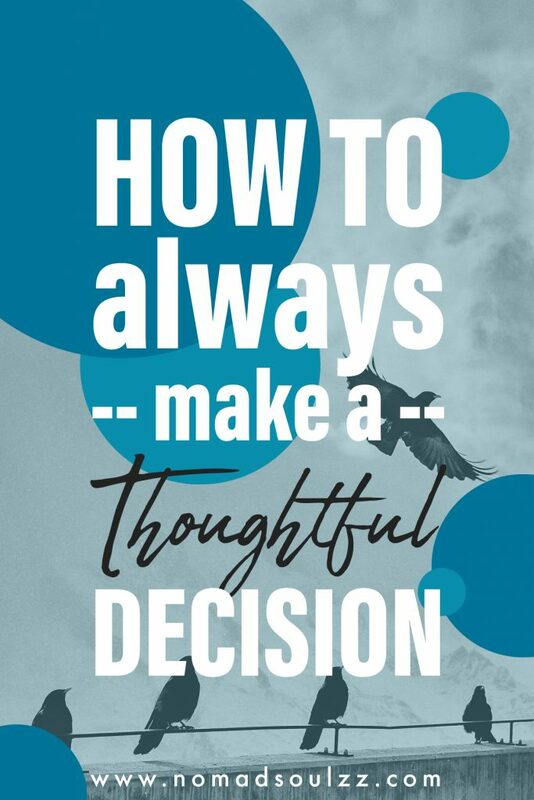 What if I told you that making thoughtful choices can become a skill in itself! Wait whut?? Yeah, you heard me. First of all, we need to clarify that the act of choice is free from what is right and wrong or good and bad. As the act in itself has no preference for either side. It is only the result that can be in turn either the right or the wrong one. These things are solely based on your perception of the matter and is something you need to consider while making a decision. 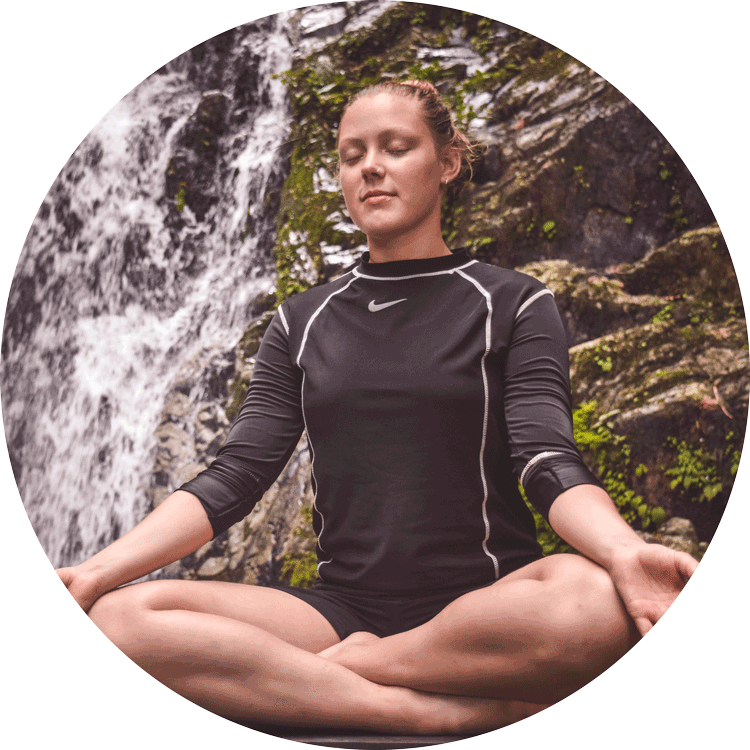 We will focus on the act of choice in itself and how you can train your mind to allow you to consciously take the action. But in order to do so let’s dive into the difference between subconscious and conscious choices. Over the course of a typical day, you make numerous choices in your everyday life. 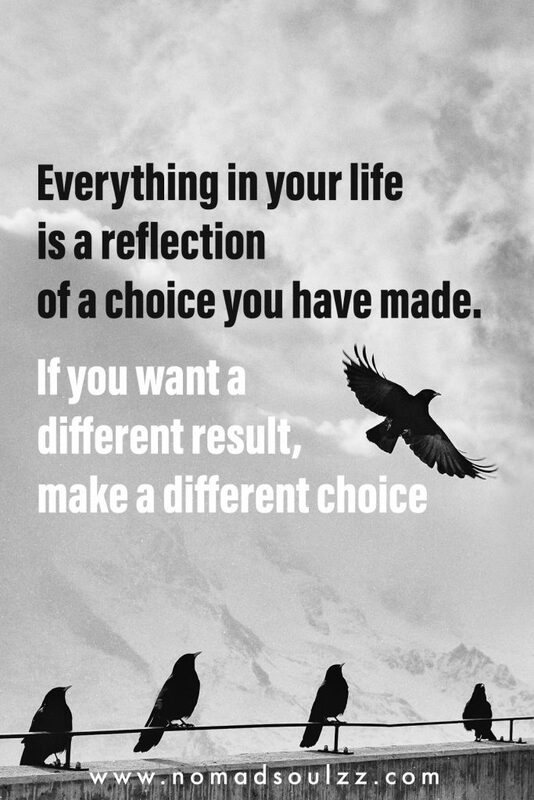 At the conscious level, you make hundreds, if not thousands of choices every day. At the unconscious level, you make an incalculable number of choices daily. From the moment you wake up, the 1st decisions made are; to snooze or not to snooze, what side of the bed to roll off of, do I take a shower before or after breakfast, what will I wear today, what’s for breakfast. Often, we wish that someone else would make these difficult decisions for us. We either can’t handle the mental conflicts we have to go through to make a choice or we are too stuck in fear of resenting the wrong choice. Either way, we are choosing to not be in control of our own power. But what if you choose to control this power. Accepting the reality of owning your given right. Great power comes with great responsibility. The responsibility for our actions and their effects. By focusing your energy to make as many of your decisions as consciously as possible, you will maximize your ability to pursue your passions and purpose and create positive change. It is imperative to become aware of this process. Without it, you will always remain a victim of your own making. 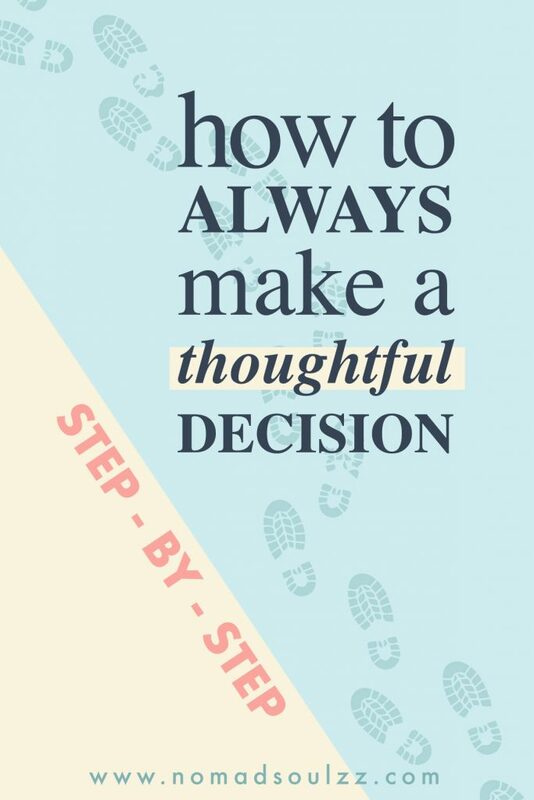 We promised to tell you how to make a thoughtful decision. Well, mindfulness is the key. We encourage you to follow these steps below so it can ensure you are making a choice you have chosen wisely and do not regret taking. Make sure to be bold and a little crazy sometimes. Trying new things will always enrich your life so why not take the leap. The actual outcome will depend on what you wish to achieve and how you prepare for the act of making that choice. 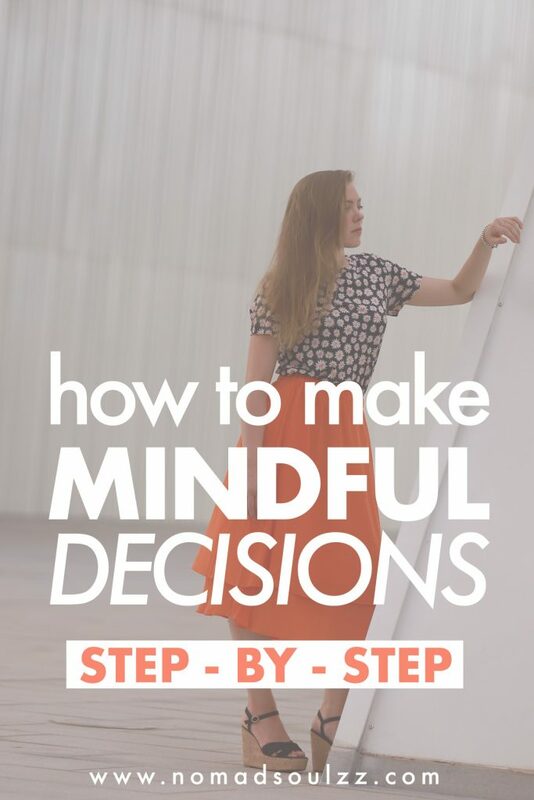 Although making choices might seem simple (as we make hundreds subconsciously of them every day) it takes practice to make a strong conscious thought out decision. So, don’t be hard on yourself it is a learning process and will take time to master. Before you take any action, you must first take a moment to allow yourself to go through the options in your mind. Filter your preferences beforehand so that a self-driven, educated choice can be made based on your pre-chosen subconscious desires. It can help to write down what’s going through your mind. Call it a brain dump if you’d like. For your choice to become truly effective you need to have clear intentions. Your intention powers your determination and will help you follow through on making a decision. What do you wish to achieve by making this choice? Am I choosing to gain or to give? If you already know that you want to give, your own desires of gaining are not important and should not hold any power over your decision-making process. Once your desires and intentions are aligned, go through the process in your mind of making the decision. The outcome, benefits, and ramifications. What does it mean to make this decision in the time frame that I need to make it? Will it be able to guide me to the desired location/position? What are the pros and cons? Sometimes the best way to choose is to consult and hear feedback from those you trust, while other times it’s best to hear the internal voice. Don’t be afraid to ask for help. 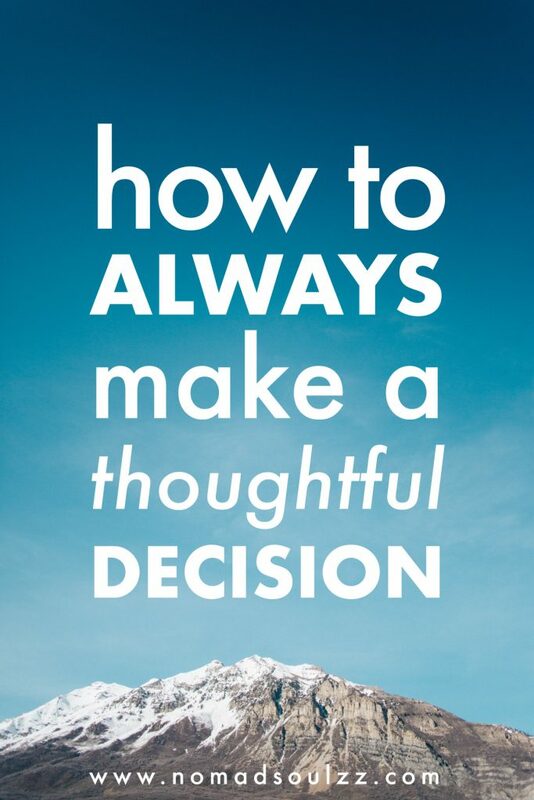 Having another point of view can greatly stimulate your own choice making effectiveness. We all have the same ability to make choices and to assess information, yet everyone else has different life experience. You would be silly if you did not use the resources that are available to you. Follow through with the decision. I cannot stress enough, once you have made a mindful decision to stand firmly with it and to cater to the needs of your choice. Just like a cake needs time to bake, so does a choice need time to ripen and manifest. Flexibility is the quality of bending easily without breaking. It is good to remember that a change in our reality is something no one can escape. Life is always constantly changing and so are we. Always remain mindful and ready to be flexible when needed while still keeping your purpose clear. It is important to remember you are in control of your perception of your reality. Everything that is done on your conscious plane is something you have control over. Having this amount of power can be somewhat scary at times. 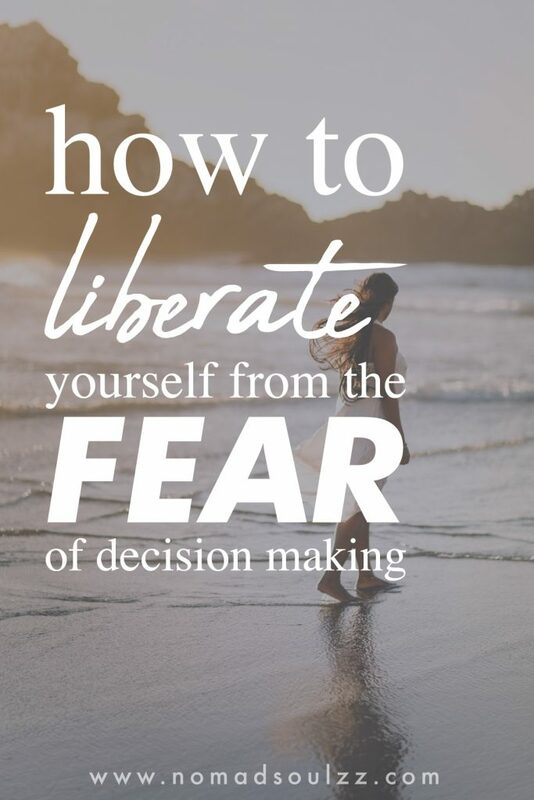 But simply put will you decide to live in fear of your own greatness or will you choose to pursue it instead and create life-changing things. Not only in your life but also for others around the globe. Still not sure which direction to take? Go back to basics and get inspired. Was this article helpful? Save for later on your Pinterest board. Thank you for supporting Nomadsoulzz! oh haha, I’m sorry to hear something went wrong with your 1st comment… anyways, means the world to hear you are enjoying the blog! We put a lot of time and energy into it, so it’s really cool to receive feedback like yours! Super cool you’re interested in becoming a blogger. It’s an exciting adventure. It’s a lot of fun but it also slurps you up, & requires a lot of time and energy. But. IT’S TOTALLY WORTH IT ^_^ I would recommend to join some kind of blogging community where you can connect with other bloggers (preferably in your niche). Having support and a group of people you ask all your blogging related questions is great! Also, I would recommend doing enough ‘pre-research’ on all other things than the writing part so you really know what you’re getting yourself into. So you can decide whether this is something for you. (Traffic, marketing, social media, funnels, mailing lists etc.) If you’re still excited, that’s a good sign! With that being said, if it’s something you can’t stop thinking about… just do it! It will transform you in ways couldn’t imagine it would. All the best! And thanks for dropping by! Hi! A video of what exactly? On the subject?